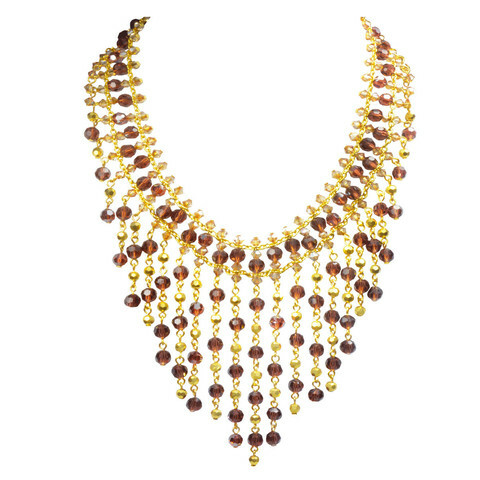 We all would love if our Jewelry stayed in perfect condition, always looking brand new. Unfortunately with time, some favorites can easily show dulling and loose the shine they once had. Instead of storing away your worn out pieces, you can easily give them their glow back with these at home methods to clean and maintain your beloved accessories! 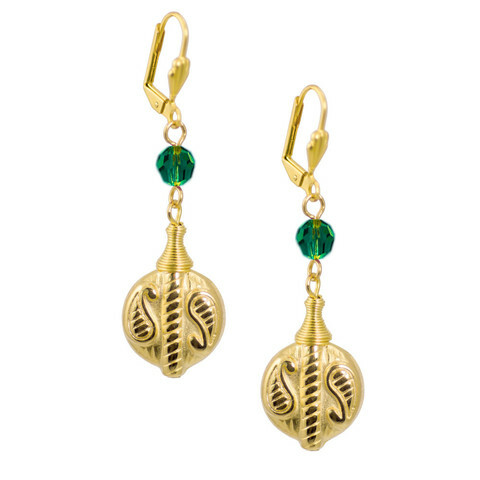 Gold is considered a soft metal, meaning that it can easily be damaged and tarnished. This isn’t a bad thing, it just means it needs a little love and care to keep it in prime condition. 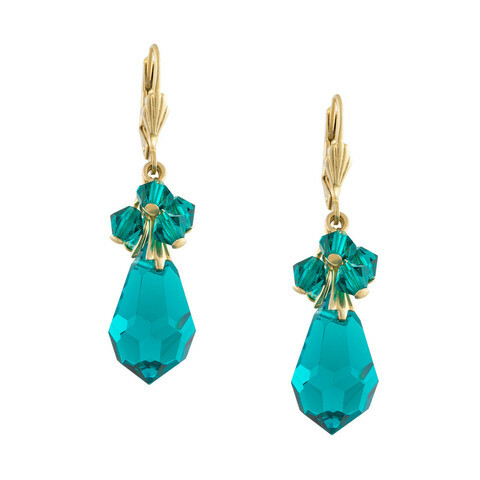 To keep it looking its best, make sure to remove any gold jewelry before you shower or apply any hand/body lotion. The reason being that chemicals and ingredient from products we use for our bodies are not the best for our jewelry. Body wash, shampoo and lotions can directly tarnish gold and leave residue on the surface, dulling its appearance. For cleaning gold, the less is more approach seems to be the best. One of the best at home ways to clean your gold is to mix a few drops of standard dish detergent in some warm water. It is important the water is not boiling as the temperature is perfectly fine for gold but can damage other detailing on the piece such at gemstones or settings. If the water is too cold then it will only solidify the dirt even more, making it harder to remove. Another option is to use Seltzer water or Club Soda instead. The carbonation with only assist in lifting the dirt and will likely give better results. Let the piece soak for 20 minutes to allow the mixture to soften the dirt. Use a soft bristled toothbrush, the softer the better, to brush away the loosed dirt, especially out of the more detailed areas. It is important to use a soft hand here due to gold being a sensitive metal. Being too rough can damage the surface. 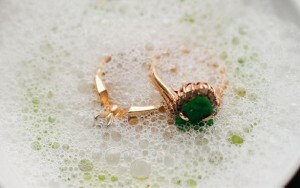 This is especially important if the jewelry is gold plated as too much scrubbing can wear it away. A Q-tip is an alternative to use to be extra gentle on more fragile pieces. Once you are satisfied with how it looks, give it a rinse in warm water, blot dry with a soft cloth and allow it to dry completely before wearing again. 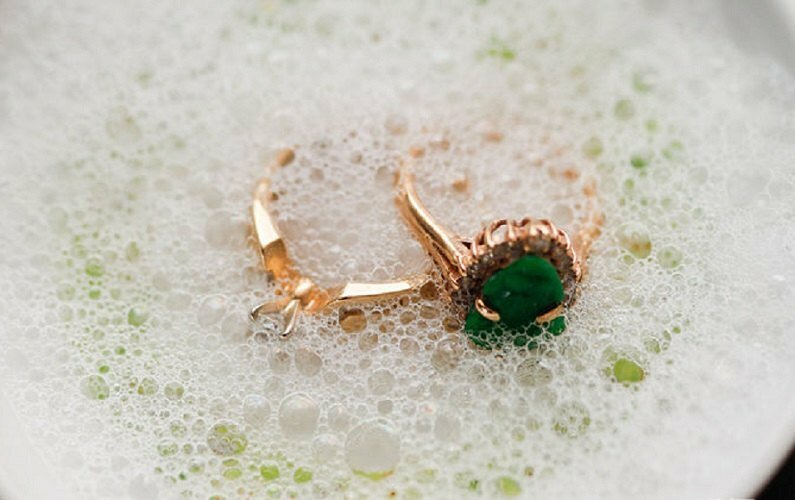 This method is the safest way to clean any gold jewelry without causing any damage. Other methods include using an ammonia solution, tooth paste, and every boiling water as cleansers but these methods come with higher risks of damaging the jewelry. We suggest trying this method first before attempting a more risky way! In order to maintain your Silver pieces, take some easy steps to prevent tarnish from happening in the first place. Make sure to keep silver dry! Water can easily cause tarnish. Soaps, lotions, even perfumes can speed up the accumulation of tarnish even more. House hold cleaning product, especially ones that contain sulfur, with be quick to create tarnish. Storing in anti-tarnish bags are essential as well. The biggest things to keep silver looking its best it to wear it! The more wear your silver jewelry, the slower in with dull. The movement and friction helps to keep dirt from sticking while the oil from your skin will keep the surface shiny. To clean silver, the simplest way is to just polish it with a soft cloth, one that doesn’t contain any fibers. Use back and forth strokes to avoid magnifying any existing damaged. 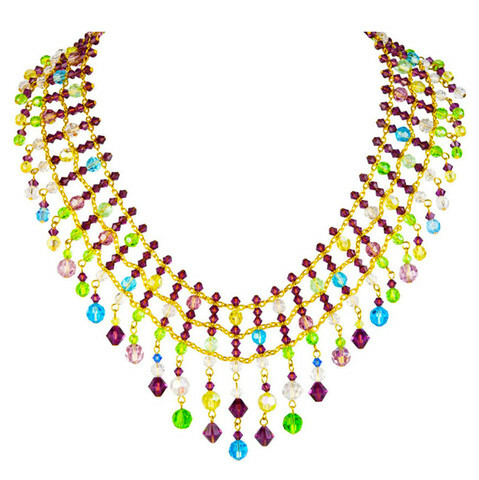 For extra strength, wet the jewelry is a solution of standard dish detergent, one that is ammonia and phosphate free. If you still are not pleased with the outcome, try making a paste with water and baking soda. Take a small amount on your polishing cloth and use it as a cleanser. Make sure to rinse with warm water and pat dry afterwards. For more heavy duty cleansing, mix ½ a cup of white vinegar and 2 tbsp. of baking soda. Allow the jewelry to soak for 2 to 3 hours. Then mixture will bubble up when in contact with silver, helping to literally lift away any tarnish. Rinse and dry after. 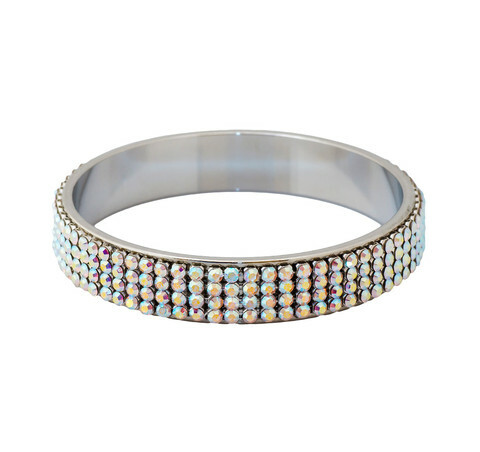 Share the post "Taking Care Of Your Jewelry! How to Clean and Maintain Gold and Silver!"